A couple of tutorials ago, I mentioned that XNA gave us quite a bit of control over how the game loop ran. Now that we've covered how the GameTime and TimeSpan classes work, we're ready to dig into the details of how to control this. Specifically, we want to talk about what your game will do when it runs into the waiting stage of the game loop. There are two general approaches to this. The first is to use a fixed time step for your game loop, so that each cycle through the loop takes the same amount of time as the others. This is called a fixed time step, and it is what XNA uses by default. The second alternative is to just blast through the waiting stage and jump right back in to the next cycle without waiting. This means that each cycle through the loop happens as fast as it possibly can, but it also means that each cycle will take a different amount of time than the rest. This is called a variable time step". In this tutorial, we'll look at a little more detail about fixed vs. variable time steps, and take a look at how to choose between the two in XNA. We'll also look at some of the extra work that you'll need to do in your game to use a variable time step. It requires a bit more work than what we've done in most of the other tutorials, but generally speaking, that extra work will pay off in the long run. If you are using fixed time steps, this means that every update and draw should happen regularly, with even spaces between updates or draws. This is what XNA defaults to. Assuming all goes well, this means you can count on every update taking place the same amount of time apart from another. As we saw in the last tutorial, this can fall apart if your game is running slow. Interestingly, if it does, some strange things happen, which we'll talk about in the next tutorial. If things aren't running slow, then after your game gets done with a single call to Update, and a single call to Draw, XNA will pause for the appropriate amount of time before starting the next update and draw stage. This regulates the frame rate. By default, XNA tries to run at 60 frames per second. It is interesting to note that while a fixed time step is the default, a variable time step is preferred. I'll explain why, partly in the rest of this tutorial, and also partly in the next tutorial. 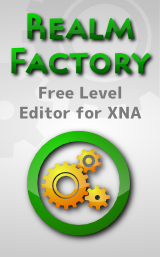 XNA gives us the control we need over time steps. We have the ability to choose whether we're running with a fixed time step or a variable time step. This is done by setting a value for your game's IsFixedTimeStep property. 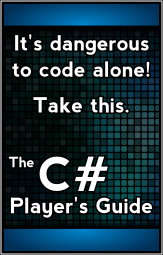 This property is defined in the Game class, and inherited by your main game class. Typically, the place to set this is in your game's constructor, but it can be set anywhere in your class. IsFixedTimeStep = false; // Setting this to true makes it fixed time step, false is variable time step. TargetElapsedTime = TimeSpan.FromMilliseconds(20); // 20 milliseconds, or 50 FPS. While you can call one of TimeSpan's constructors, it makes sense to use one of the factory methods, like the FromMilliseconds one shown above, to create your desired time span, simply because it is more readable. However, things get more complicated when you're working with a variable time step. The truth is, the amount of time that has passed is unpredictable, so we can't make any assumptions about how far something will move every frame. To compensate for this, our updating code will end up being somewhat more complicated. For starters, we need to think about things in terms of movement per second (or hour, or millisecond, or whatever time unit you prefer). Movement per frame won't be reliable any more. So as you're storing a player's speed, instead of storing it in units per frame, or units per update, you'll store it in units per second. Secondly, in any particular update, we'll want to move the object the correct amount, regardless of how long it has been. It may have been 1 millisecond, or it may have been 14 seconds. Though, honestly, both of those would be pretty extreme…. As an example, take a look at the following code. This first sample assumes a fixed time step with 60 frames per second. // Defined as instance variables in a class. private Vector2 velocity = new Vector2(0.246667, 0); // The player's speed, assumed to be in units per frame. // The update method will likely contain much more than just this. position += velocity; // move the player forward a bit. You can see that our velocity variable, which keeps track of the player's speed, is measured in units per frame. When we update, we simply add the velocity on to the position, moving the position the correct amount for a single frame. private Vector2 velocity = new Vector2(14.8, 0); // The player's speed, assumed to be in units per second. // Moves the player forward by an amount that is weighted by the amount of time that has passed. You can see that this code is a bit more complicated. Everything you do will have to be factored against the amount of time that has passed. But on the other hand, this allows things to work much smoother, based on the frame rate that is actually achievable, given the setup of your game. One final thing that is worth mentioning is that this type of code also works for a fixed time step. It won't break anything if the time steps happen to be even, but this also works now if the time steps are uneven. Because of this, this is the way I recommend structuring your code, regardless of whether you're using fixed or variable time steps. In the final tutorial about timing, we'll cover some strange behaviors with fixed time steps in XNA that seem to catch nearly every beginner off-guard.